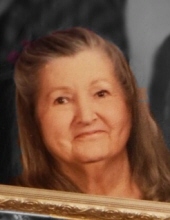 Norma Lucille Senter, age 77, of Gladewater, passed away on Saturday, February 2, 2019 at Christus-Good Shepherd Medical Center in Longview. The family will receive friends on Wednesday, February 6, 2019 from 1:00 to 2:00 PM at Croley Funeral Home of Gladewater. Private interment to be held at Rock Springs Cemetery. Norma was born in Gladewater on February 6, 1941, the only child, to the late Samuel Elmer and Marjorie Lucille Peacock Troxel. She worked and raised 5 children as a single mother and was currently a member of the North Loop Church of Christ. She enjoyed reading, crocheting, and spoiling her beloved miniature poodle “Beau”. She is survived by her sons, Dr. Robert Senter and wife Dr. Sylvine Deprele of Woodland Heights, CA., Greg Senter and wife Tonya of Leander, TX. ; daughters, Melissa Higgins and husband Erin of Gladewater, Sharon Santucci and spouse Diane of Portland, OR., Deborah Bailey and husband David of Highland Village, TX., eleven grandchildren , Kristen Netsch, Kathryn Bailey, Garrett Bailey, Braden Young, Samuel Senter, Jace Senter, Danielle Senter, Geoffrey Freeman, Elizabeth Higgins, Juliette Senter, Dylan Senter, and two great-grandchildren, Annie and Hudson Netsch. In lieu of flowers, donations are requested to the American Cancer Society or to Shriner's Hospital for Children. To send flowers or a remembrance gift to the family of Norma Lucille Senter, please visit our Tribute Store. "Email Address" would like to share the life celebration of Norma Lucille Senter. Click on the "link" to go to share a favorite memory or leave a condolence message for the family.